It’s grilling season and I can’t get enough of it—cleaning up after grilling is about 10 times quicker than cleaning up the stove, and we sit outside, get as messy as we want, and shake the crumbs off onto the ground. Total bliss. My family is all about grilled burgers. I mix up the toppings all the time, and stuffing them with cheese has to be my absolute favorite method of cooking burgers on the grill. If you’re firing up your grill this weekend for your family or for company, don’t just serve a basic burger. 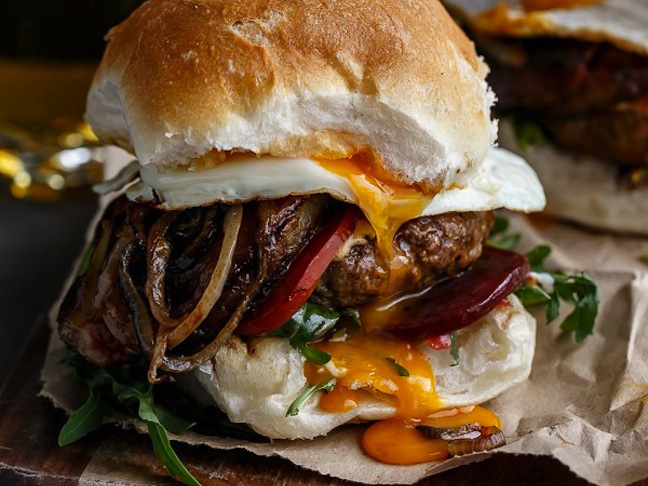 These unique burger recipes will impress everyone from carnivores to vegetarians alike. 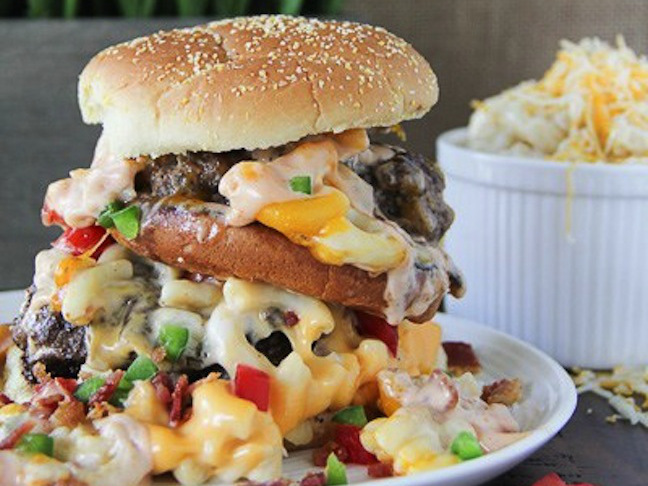 The outrageous mac and cheese burger is about as over-the-top as you can get. Let’s just throw all of our favorite comfort foods together between two buns, why don’t we? 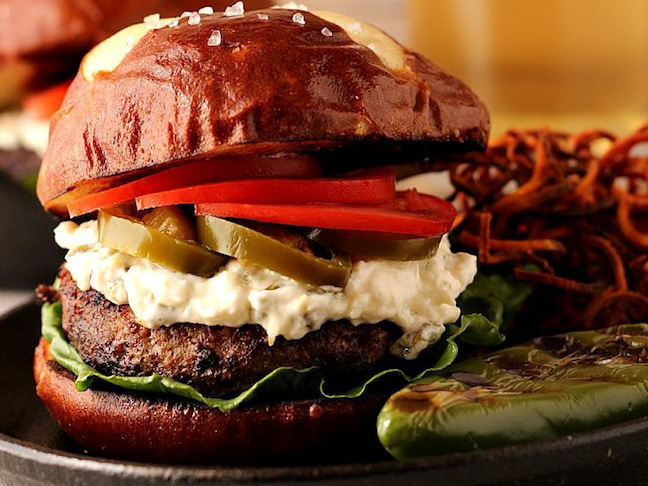 With a tasty pretzel bun, oozing cheese, and meat grilled to perfection, the jalapeño popper burger is exactly what you’ll want to be serving at your barbecue this summer. And if there are kids in the crowd, just leave off the extra jalapeño slices, unless they can take the heat—then pile them on. The drunken Aussie beef burger is smothered with crispy bacon, caramelized pineapple, melted cheese, fried onion rings, sweet beetroot, ripened tomatoes, and the most amazing egg ever. Is it all you can do not to dive right into your screen right now? I know, me too. Shrimp cilantro burgers with smoky chipotle-lime guacamole are such a crowd-pleaser—especially in the summer, when perfect, seasonal avocados are on hand and seafood is on our minds. 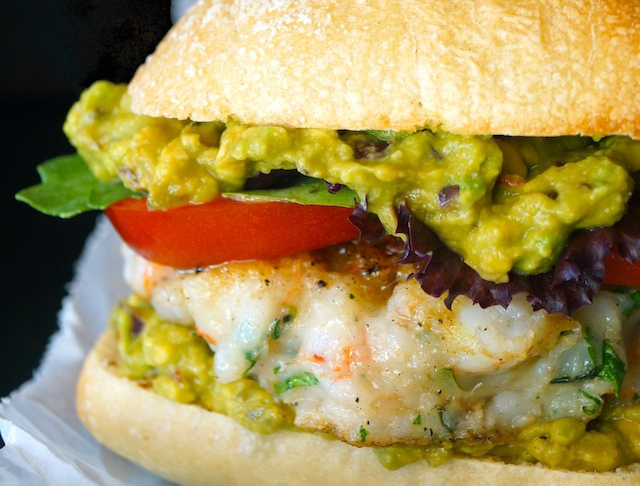 This shrimp burger is super juicy and packed with delicious flavors. 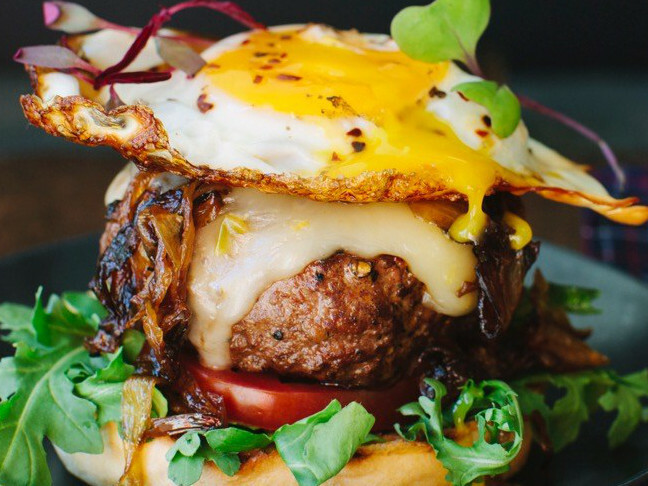 The ultimate fried egg breakfast burger is the best possible way to have breakfast for dinner. 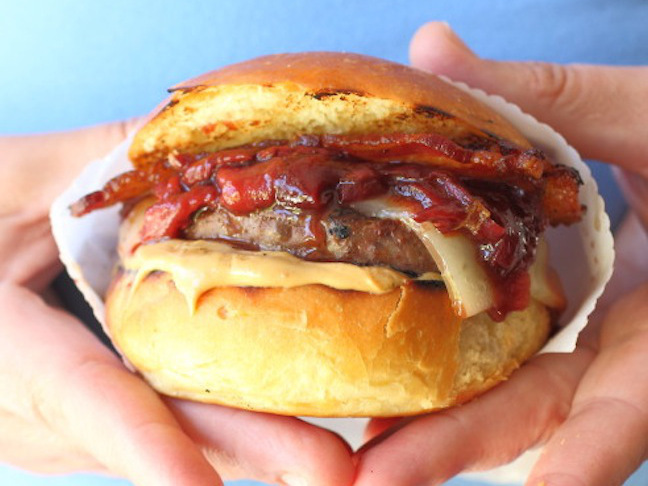 From the brioche bun and smoky paprika to the garlic and caramelized onions, the combination of ingredients in this burger is out of control. 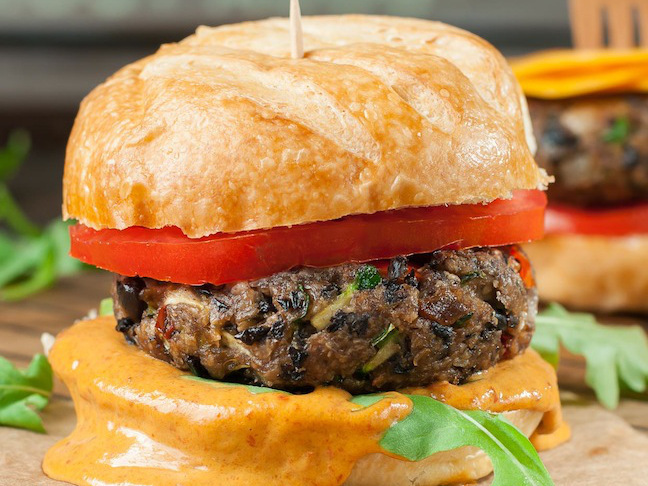 These black bean veggie burgers with chipotle honey mustard are deliciously bold, and they’re sure to impress vegetarians and meat-eaters alike. Peanut butter burgers with strawberry relish will have the kids and adults running outside to the grill with their plates. They’re juicy, sweet, and savory—nobody will be able to get enough of these unique, fun burgers. 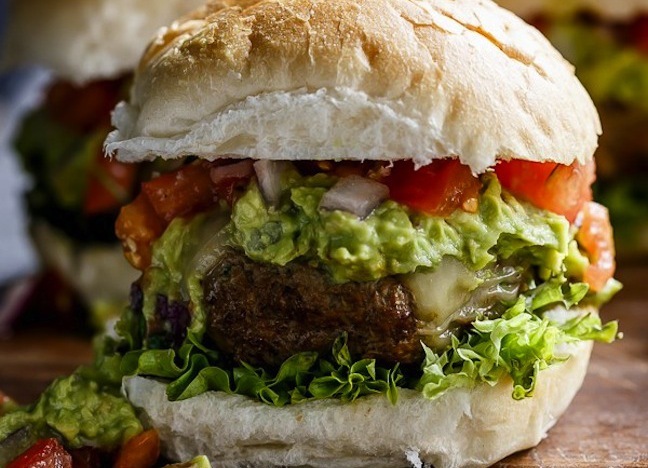 Carne asada guacamole burgers are filled with the typical carne asada marinade flavors but without the marinating time. Win-win! 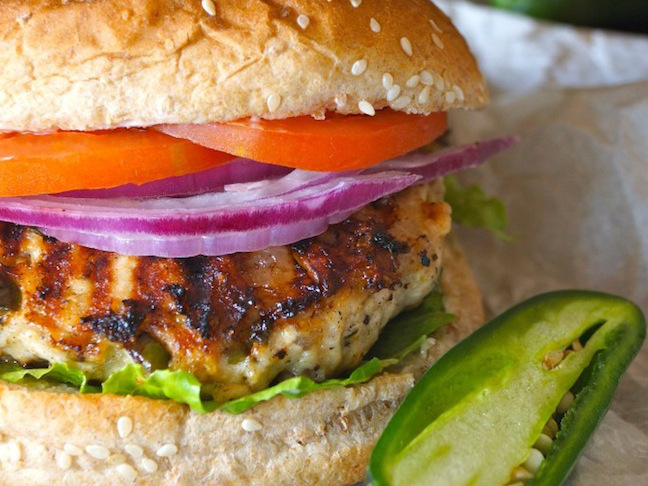 Jalapeño pepper jack turkey burgers are hearty and scrumptious—each juicy turkey burger is filled with earthy spices, melted spicy cheese, garlic, and then some. 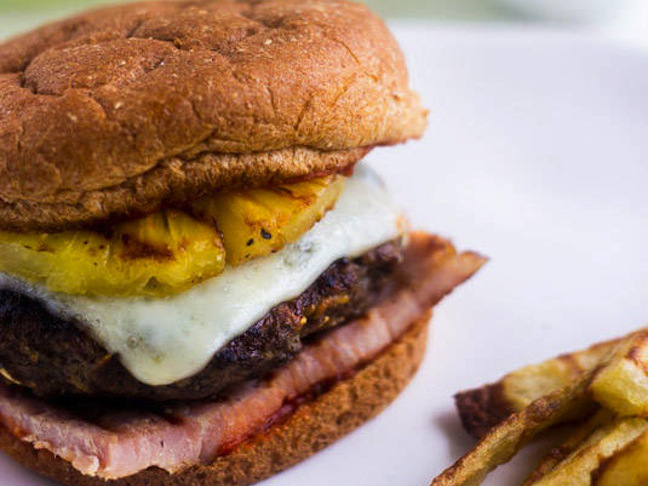 This delectable Hawaiian pizza burger is exactly that—a traditional Hawaiian pizza with ham, pineapple, and mozzarella meets a delicious beef patty, between soft hamburger buns. It’s a perfect pairing, if you ask me. 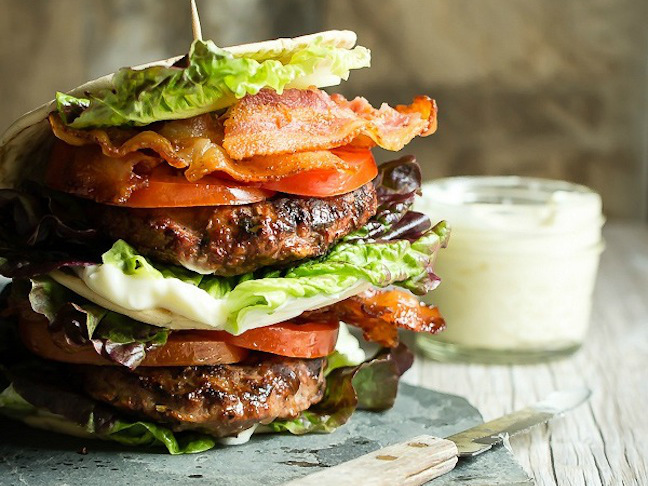 This turkey burger BLT is nothing short of mind blowing. The crispy lettuce and fresh tomatoes are always exceptional with salty strips of bacon and a slather of mayonnaise. Oh my! 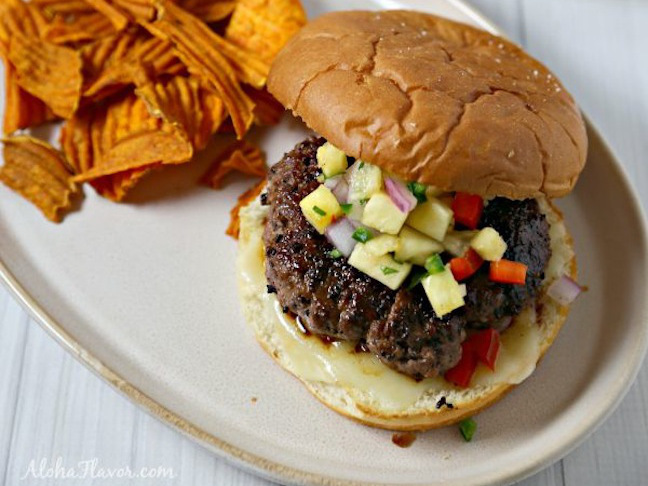 Kona coffee-crusted burgers with spicy pineapple relish have a unique and super tasty flavor. With ground Kona coffee beans, spices, brown sugar, and a hint of Hawaiian salt, they’re truly something special. And the tropical touch of the pineapple makes this a spectacular recipe for the summer. 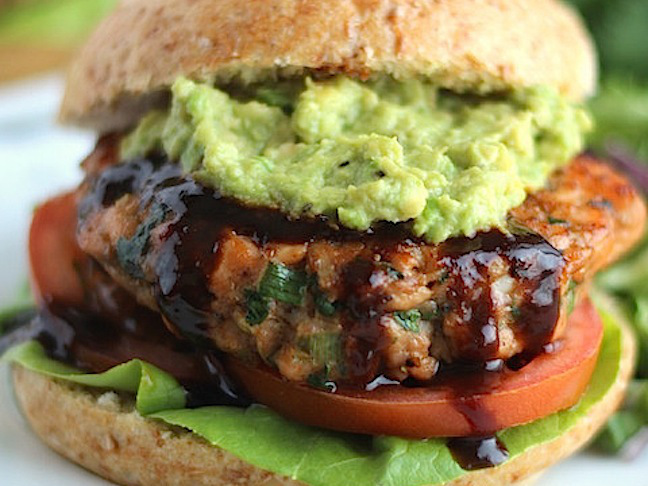 Asian salmon burgers with avocado and hoisin sauce are a healthy alternative to beef to mix things up. They’re quick and easy to make and are sure to make the whole family very happy. 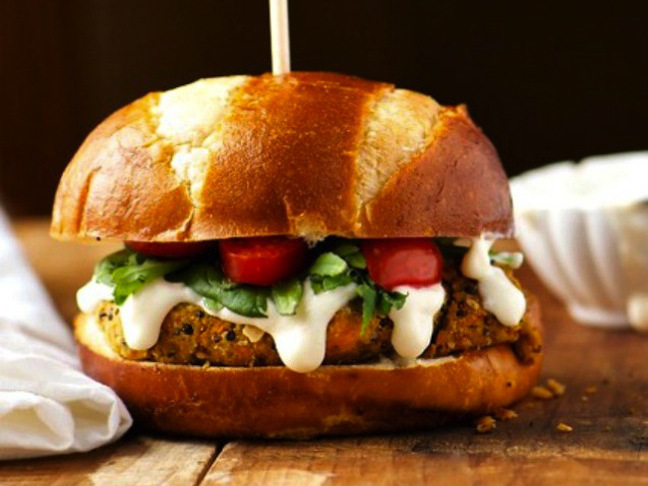 Sweet potato quinoa burgers are as good for you as they are delicious. This vegetarian meal is packed with protein and super yummy flavors—nobody will be able to resist them. 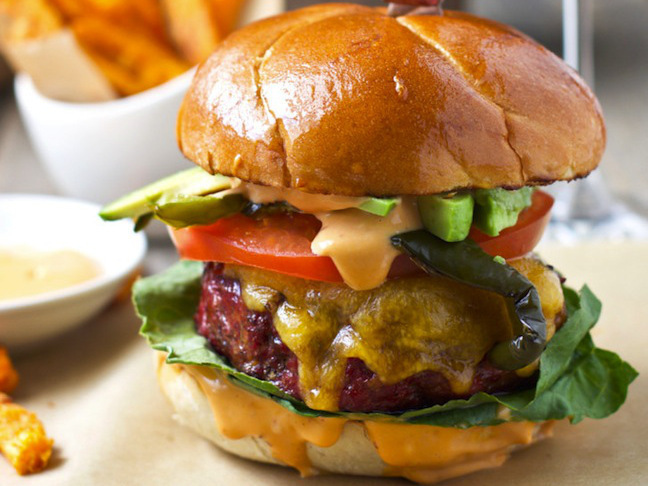 Smoked Mexican burgers with chorizo and smoked poblanos are out of this world. Beef and chorizo with an intense smoky flavor is then topped with melting cheese and an aioli like no other—it’s sweet, spicy, and garlicky. Perfect!